The Summer Palace in Beijing started out life as the ‘Garden of Clear Ripples’ in 1750. 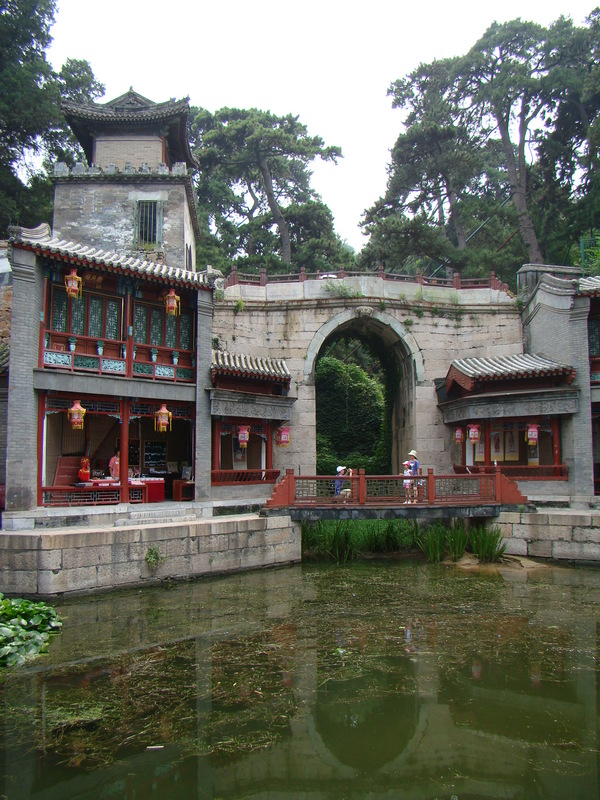 It served as a summer resort for Empress Dowager Cixi, who diverted 30 million taels of silver, originally designated for the Chinese navy, into the reconstruction and enlargement of the Summer Palace. Personally I think it was money well spent for this is such a beautiful part of this palace structure. 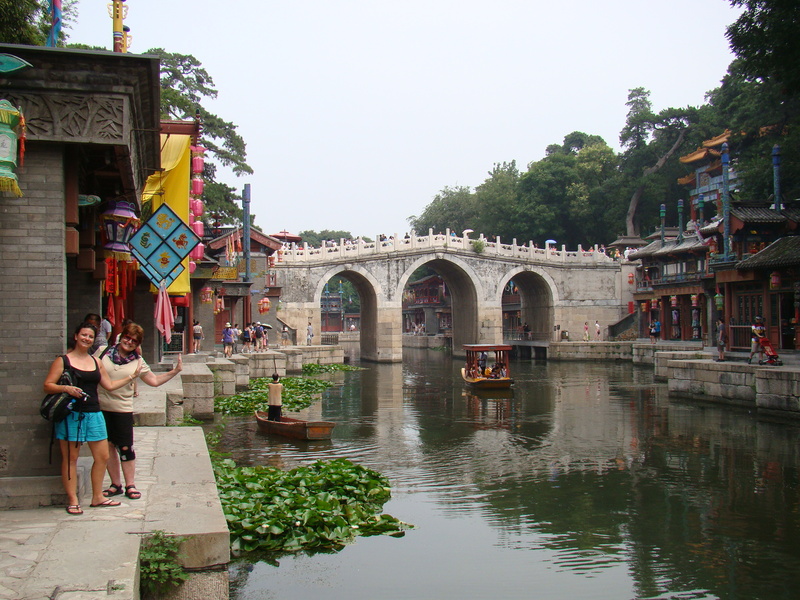 People come from all over the world to see this “Small Venice” of China. This beautiful town with its waterways is situated behind the hill that the main palace buildings are situated on. We reached this tranquil spot after spending hours walking through the crowded palace and it was the perfect way to ens our Palace exploration. This area is called the old town and with all its canals and walkways gives you a glimpse into what it must have looked like here 200 years ago. 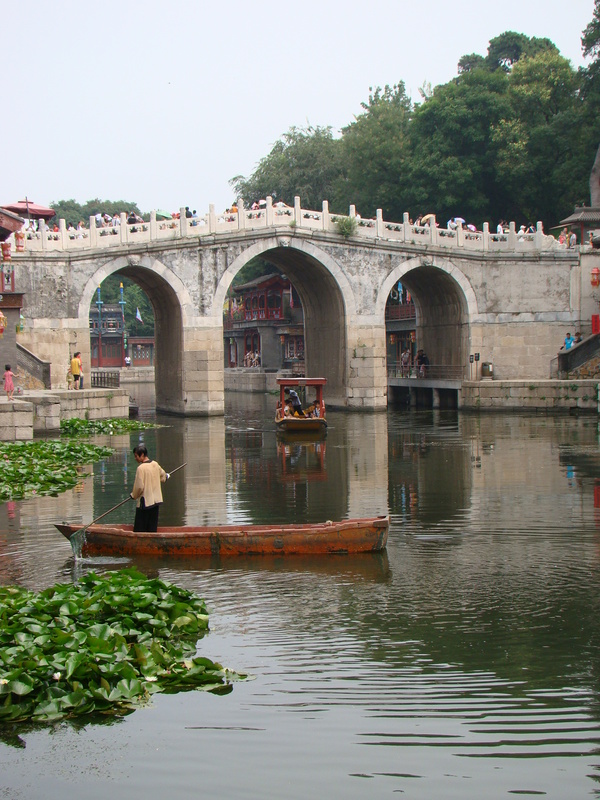 The main canal filled street is known as Suzhou Street and it is here that you will still find Chinese artisans busy with their calligraphy or the art of making Chinese lanterns. Lotus flowers have also found their way into these canals but is part of what creates this peaceful atmosphere. 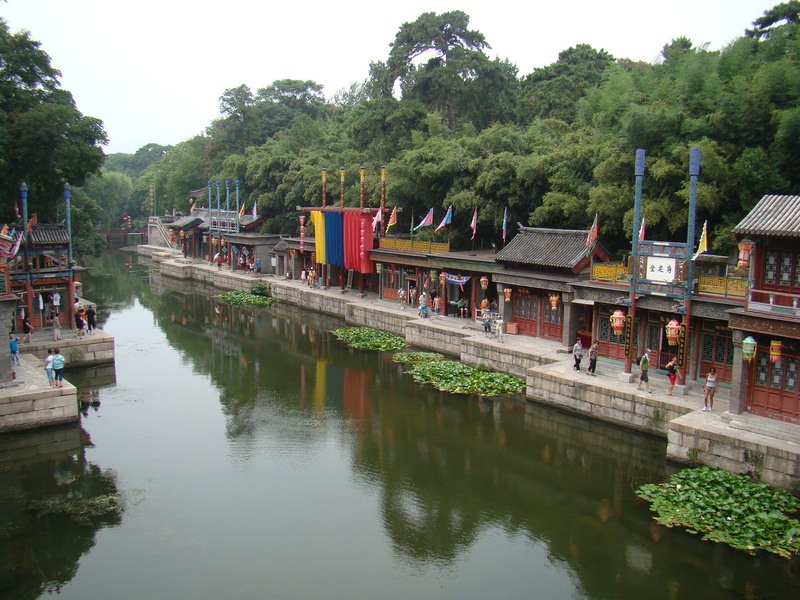 This canal filled street is known as Suzhou Steet. 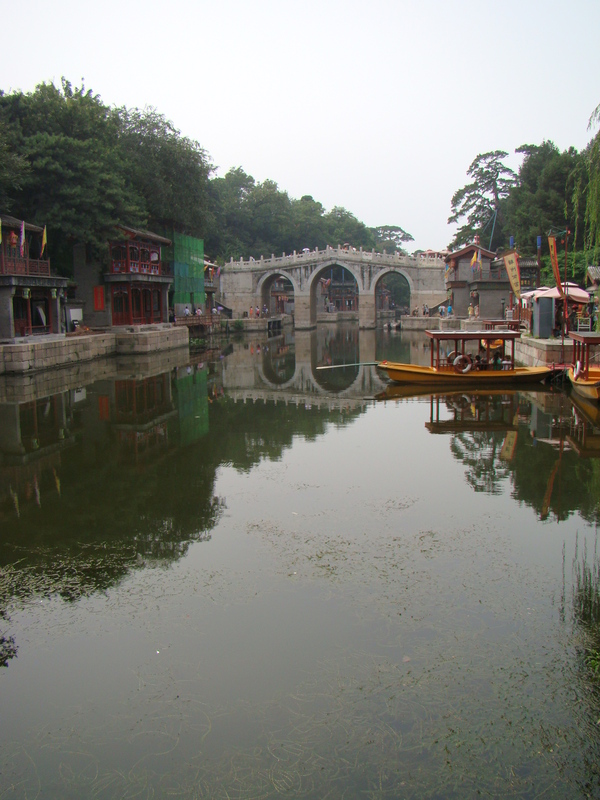 In December 1998, UNESCO included the Summer Palace on its World Heritage List so we will not see any modern gadgets around here. I caught a calligraphy artist at work here. This canal filled town is the ideal place for artists to work without much distraction and its such an amazing experience to watch them create these pieces of art. Thank you! 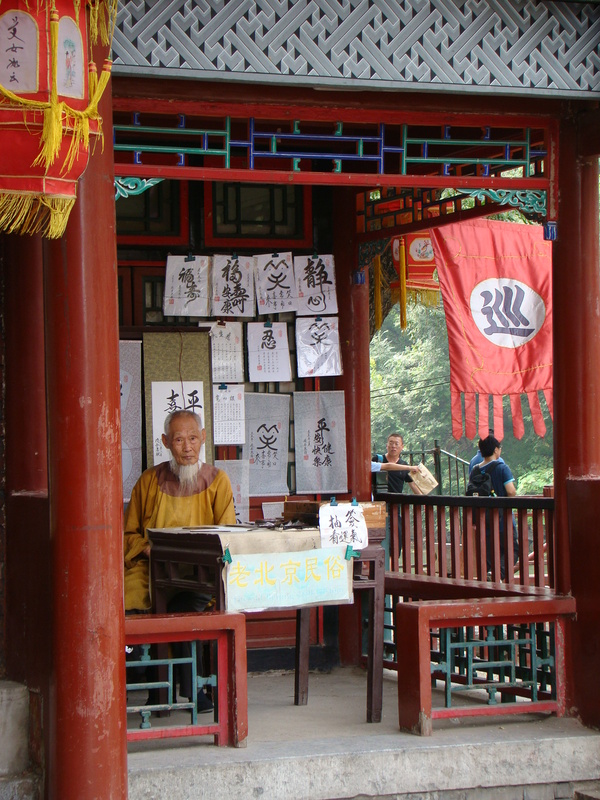 It is part of the Summer Palace in Beijing, and hidden at the back of the grounds. Thank you!! Baie baie dankie!! Was een van die wonderlikste avonture wat ek saam my ma nog ooit gehad het! I just loved it when I visited! And the tourism revenues from the Summer Palace probably do a lot more good for China than the ships would have, to be honest. I do agree with that and because they are getting so many tourists they are definitely looking after and restoring everything. Is this a movie – this is exactly how I felt walking to this location and understanding with appreciation!